A Target employee has posted inventory system pictures showing several iPad 2 models as discontinued. According to the image, Target has no intention of stocking 3G models in the future. The retail chain will sell WiFi only devices exclusively. Either Target is going to remove iPads from their inventory altogether or they know something no one else does. 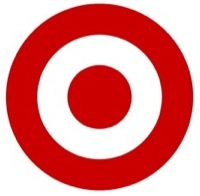 While unlikely, it is possible that Target knows an iPad 3 is on the way. That implies that we will not be ordering more, which implies a new iPad is forthcoming rather soon (October-ish, say). Either that or Target’s exiting the iPad business, which seems unlikely. A lot of the cases have gone clearance too. Be sure to keep your eyes on Target — who knows what they have up their sleeve.